The Highland precision balance is a compact, portable balance that stacks for easy storage. Ideal for busy classroom and laboratory environments. Highland digital balances are highly-versatile weighing machines that offer fast, accurate weighing in a number of different environments – from science research in the laboratory or field, to manufacturing operations. The balance comes complete with memory accumulation, parts counting and percentage weighing features that are ideal for precise measurement tasks. Sturdy ABS construction allows the Highland to stand up to demanding lab use, while Highland's ShockProtect® offers advanced overload protection to keep the balance safe. HandiCal® facilitates internal calibration without the need for external weights. The balance contains a slot for an optional Kensington lock and cable in order to prevent theft. Highland balances are frequently used by soap makers for weighing ingredients when manufacturing soaps. The percentage weighing feature allows the user to enter a total weight and measure ingredients out according to a given formula or ratio. Trade approved Highland precision balances are often used by jewellers for weighing custom jewellery, gold and precious metals. Whilst this variant of the Highland cannot be used for selling goods by weight, it can be used as a reference tool with built-in Carat measurement. Highland portable precision balances have been designed for classroom use. Practical features include stack-ability for easy storage in classroom store cupboards and a security slot for optional Kensington lock and cable to prevent theft or movement. The balance also features a durable plastic construction and compact, lightweight design for transporting to other classrooms or for using in outdoor field experiments. Manufacturing companies can rely on the Highland to produce highly-accurate parts counting results in order to eliminate manual counting procedures. These digital balances offer draft shields to protect the weighing chamber from dust, whilst the solid, ABS plastic housing protects the balance from rigorous industrial use. A balance is an integral component of lab work, and choosing the correct equipment is essential to obtaining efficient performance and accurate results. There are many considerations in selecting the right lab balance for the job. There are many applications that require a combination of high precision and legal-for-trade standards. Depending on the country, lab balances may need to meet requirements, such as EC or NTEP approval, or a certain class (like Class II), when used in certain applications. The words precision and balances almost seem like synonyms; after all, you expect your balance to be precise. 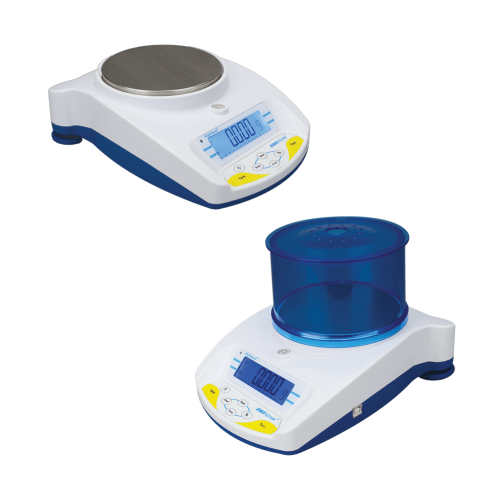 But precision balances are a specific category of weighing instruments.